What is the first thing most people do when they need something for their home or business? Whether it is a service or a product recommendation you are after, you want the honest truth, don’t you? 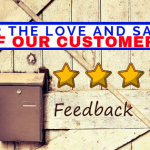 Today we want to share with you our customer reviews and customer feedback. Putting it all in one place might help you make a decision about whether you’d want to work with us in the near future. Let us start by going to Facebook. We currently have 17 reviews up on our Facebook page. Feel free to read them all; we are going to highlight a few here for easy reading. I reached out to Strand Security after an attempted theft of my car tires and rims. Strand Security installed Arlo wireless security cameras at my home and they did a great job. The Strand Security technician was professional and thoroughly explained to me how the Arlo cameras worked. He patiently answered my questions as well. He had me check the position of the cameras to ensure they covered the area I was expecting. I feel more at peace already. Thank you Strand Security. Very responsive! I really appreciate the great (and quick) service. Dealing with a local company and people who care truly gives me peace of mind. I only wish we had contacted Strand Security when we first installed our system. It would have saved a lot of stress! Glad we are with them now though – and I love our new system! Thank you Strand Security! Great customer Service , very friendly and courteous, thank you for everything. 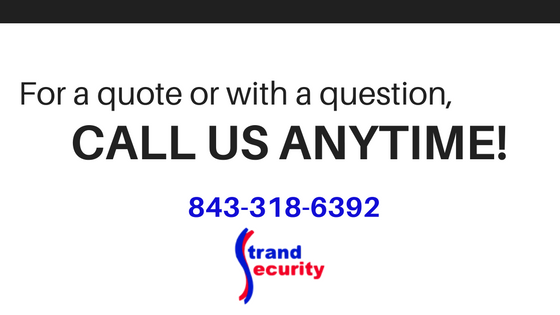 We switched to Strand Security at my workplace and in our home and have been very happy with the prompt service and the systems. Highly recommend them. We also saved money from ADT and now have personalized care from people who live in town that we can text or call with a question or issue. We love reading reviews like these – it helps us stay on the right track! On Google, we currently have 10 reviews and we are proud of our 4.6-star rating. For your reading pleasure, here are some of the reviews we loved receiving. Best service hands down. No matter what time of day, or how many times I call, the owner answers and solves my problems. Not an employee, but the owner. Customer service is huge in this business and I cannot give a better recommendation than this. Switch today. Professional from Start to Finish. Chuck was very helpful in helping us decide the security system that suited our needs. We are extremely satisfied with their pricing and customer service. Love this company. Owner always helpful and gets back to you immediately. They cover my Hair Salon and my home security system. Not looking for any new business. Not very customer friendly. Tried to set up new business and they out right told me they were the highest on the Grand Strand. also a little nervous since they are a security company and their phone rang more than 10 time before they answered it? You can read our response to this review here. 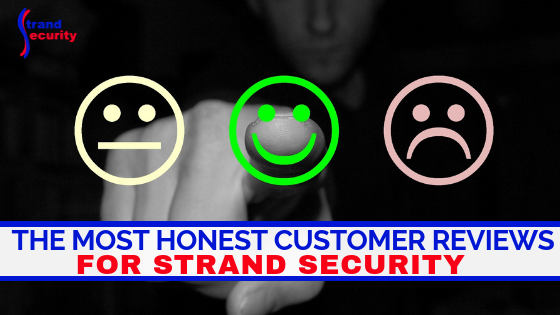 We Want Your Strand Security Review, Too! We strive each and every day to be the best. Give the best. Do our best. We are a locally-woned and locally-operated small business. Over the years, we have supported our local community, our local charities, and local youth. We will continue to do so, with your help and support. Go ahead and review us on Facebook and Google if you’ve worked with us. We look forward to reading them. For the Love and Safety of Our Customers by Strand Security! 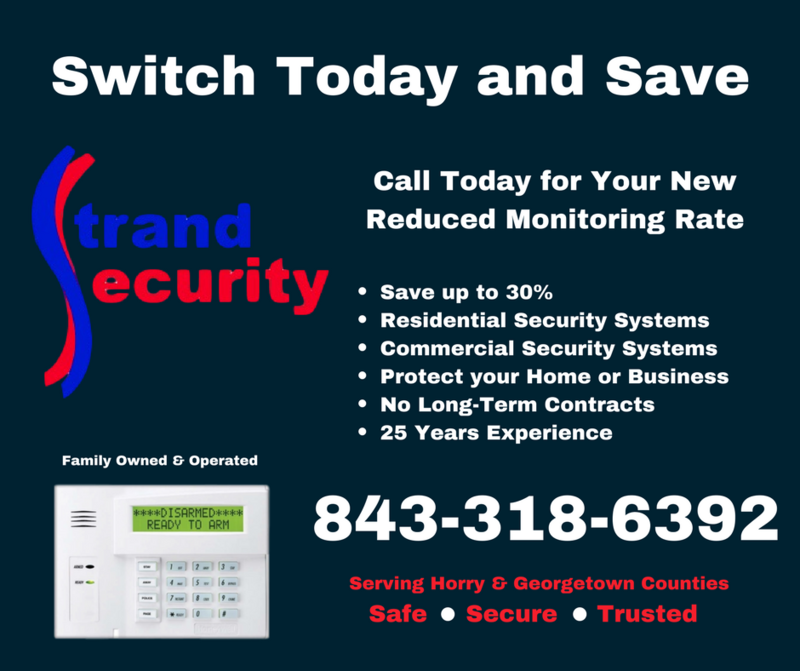 We offer home security systems as well as commercial security systems to homeowners and business owners on the Grand Strand, both in Horry County and Georgetown County. Since it is February, the month of LOVE, we want to take a moment to love on our customers! 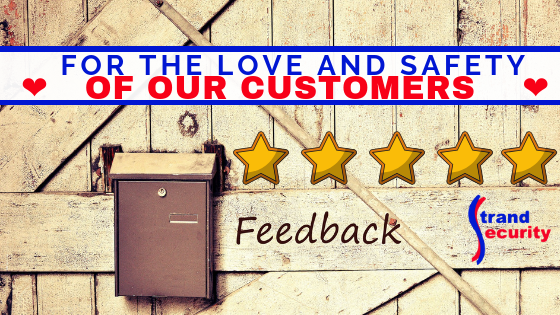 We are thrilled that we have received some wonderful reviews and feedback on our customer service via Facebook. Click here to check out all our reviews. We’ve been fortunate to also receive Google Reviews, which helps us get found on Google by new, potential customers. Find our Google reviews here. We love working with you, and if you are reading this and you are NOT a part of our Strand family yet, what are you waiting for?